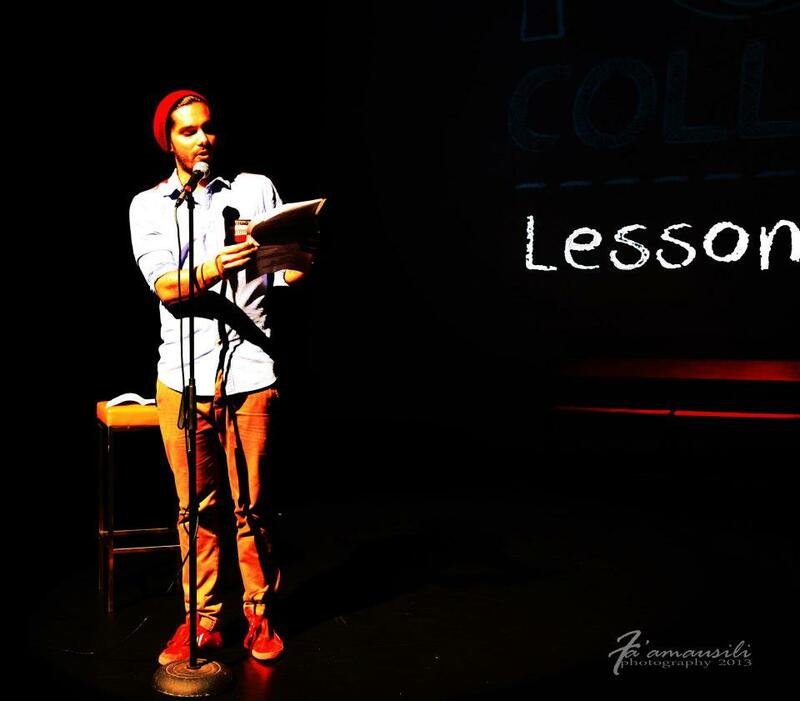 I am deeply honoured and humbled to have, Greek-Australian Poet and Hip Hop Artist, Luka Lesson as the first 2013 special guest on this blog. At the beginning of this month, I had the honour in meeting and performing spoken word alongside Luka Lesson during his visit to Auckland, New Zealand. He was the featured poet for our South Auckland Poets Collective show which was held at the Mangere Arts Centre. I also got the chance to sit in on one of his spoken word workshops while he was in Auckland which was great. He is a humble guy with a genuine heart. 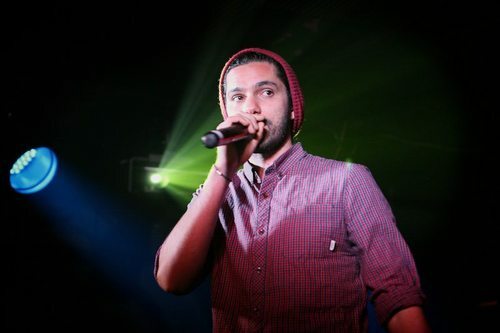 Luka is both a Hip-hop artist and performance poet. His latest album Please Resist Me is a powerful combination of the two: 17 tracks of love, social change, ancestral pathways and internal ruminations. 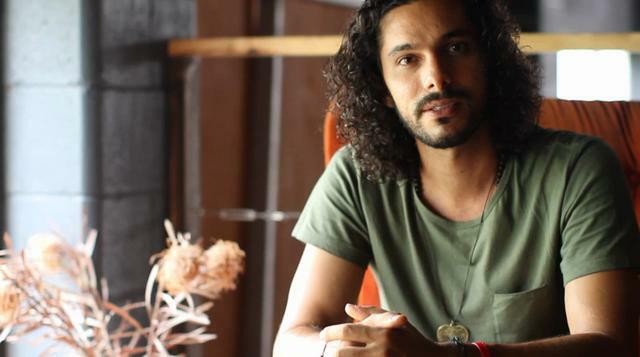 A winner of Slams, including the Australian Poetry Slam final & Melbourne Poetry Festival final, and a song writer from way back, Luka spent 2012 touring writers’ festivals and independent venues throughout Australia, Asia, Oceania and North America. Luka is also committed to standing with communities of all backgrounds to establish a connection between social issues, poetry and self-empowerment. He works actively with young people to develop their power of expression, and to utilise the form of the spoken (and written) word as a means of empowerment and a form of self-determination. 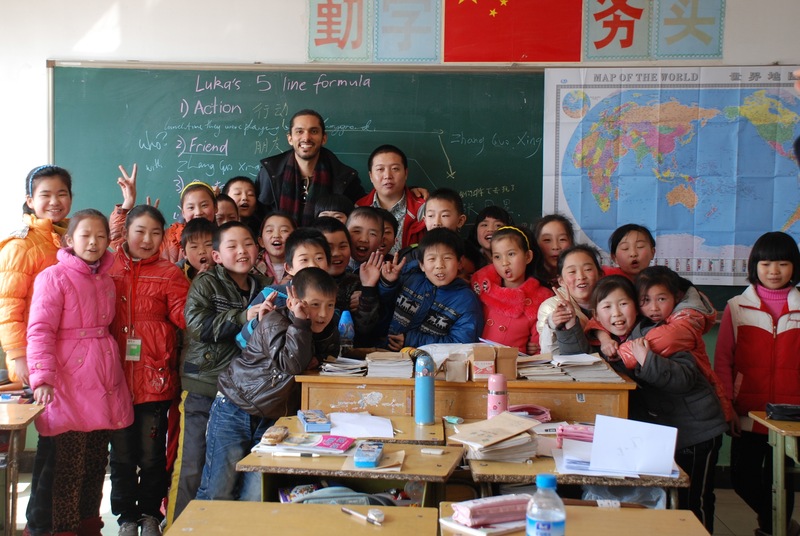 Luka is an experienced workshop facilitator with both hip-hop and poetry which has seen him make university appearances in China, teach students in The Bronx (NYC), facilitate Indigenous programs in Australia and work with students in underprivileged centres in Greece. 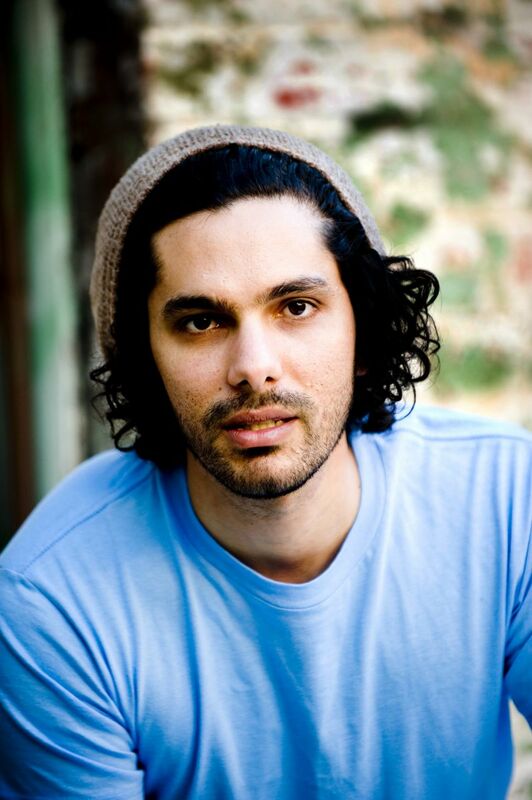 Luka also holds a first-class honours degree in Indigenous Studies and from 2010 to 2012 taught the same subject at Monash University. Luka kindly composed his special guest blog write up in Athens, Greece at the home of conscious hip-hop outfit Active Member with whom he is currently touring. I am very grateful to him for the time that he took to write and I truly appreciate his openness and honesty in his piece. You will be inspired, encouraged and empowered. I certainly am. Without further adieu, I present to you Luka Lesson’s special guest blog post. Enjoy! LUKA LESSON: This year, in less than a week in fact, I will turn thirty years old. And right now I am a full-time poet. It is my job, and even though I have worked hard to get where I am it still surprises me, almost everyday, that this is who I am and what I do. When I was young(er) I thought poetry was something that I should stay away from at all costs. This was especially because it’s uncool rating at school was somewhere around holding your mum’s hand and listening Country music…combined. Nobody did it unless they were forced to. Hip-hop was cool though, and the days I spent wagging class and listening to Snoop or Tupac under my friend Caleb’s house while playing card games with my lebanese connection Omar and smoking cigarettes confirmed it. Hip-hop was the soundtrack to cool. A soundtrack to being outcasts in a multi-cultural country that was somehow still passing itself off as being entirely white. To us at that time, being Aussie was anything but cool, they used to tease us for our waxed hair styles and puberty beards as much as we laughed at them and their families for eating microwaved food. Their mothers couldn’t cook… now that was almost impossible for me and my friend to comprehend. Despite the inspired change in lyrics it wasn’t a big surprise that we weren’t received well. In fact we were disqualified for stealing the PA we used to perform with even though it was the Aussie kids who took it from the Music staff room…but they blamed the brown kids right… (I’m not bitter). From listening to Hip-hop, I started writing it at University. I met a rapper named Jules in one of my classes and we started writing by passing stanzas on notepads back and forth in boring Anthropology lectures and creating music at his home studio in Brisbane. These were my first Hip-hop songs and it wasn’t for another four years that I would see Lemon Andersen and Mayda del Valle perform on HBO television series Def Jam that I entered the word of spoken word. I had fallen in absolute love, though I couldn’t define why. I just knew that it felt powerful and there was something so essential about it all. Like these people were saying things that were vital, that absolutely had to be heard, and they believe in it. Soon after I wrote Please Resist Me, my first spoken word piece and began to connect with the very few people in Brisbane who were interested in it. It wasn’t for a long time later that i finally was able to make a video for it, with the help of so many great friends in Melbourne… something I could never have imagined at the time. The next part of this mini-biography is quite dark, but necessary. Soon after this in 2008 I was to experience a severe depression, which came with family break ups, my own wedding being painfully cancelled, mental health issues and chronic health issues and pain. For about a year and a half in 2008 and 2009 I was in the midst of a spiritual crisis. More than that it was a fight for survival. By then I had lost both Omar to a car accident and Caleb to an overdose that many believe was suicide and I think losing them became the biggest factor in stopping me from jumping off the edge myself. So I had to do something… and writing spoken word became that something integral to my journey towards healing. Although many other factors came into play, the vital-ness I had seen on Def Jam suddenly became real, and I realised that writing and performing, when they are done right, are absolutely necessary for personal survival. Things must be said. So on some of those dark, dark nights in Brisbane where I hadn’t eaten for days and was entirely destroyed, I would leave the house and walk for hours, repeating my own writings in my head and somehow finding a sense of safety in the repetition of words that could or should, grow to defined me. Though I still didn’t consider this poetry, the words were helping me. Affirmation, prayer, mantra, song, poem and story are all things that have helped humanity throughout history. But for me I was just doing what I felt like was my only choice… the bare minimum, I could speak, and it felt good.. like a release or an escape. I didn’t have a definition for what I was doing yet, but I knew that when I was having a panic attack, or feeling angry, unfocussed or lost- again the words of some poems, and in particular May Your Pen Grace The Page became rocks I could swim to in the storms of mental incapacity. They were also written as letters to myself, that eventually came true. I am honest in this story because I believe honesty unlocks common experience between writer and reader or speaker and listener. And in this we can slowly begin to feel like we are no longer alone. If I was to withhold the deep nature of this experience, I think those struggling with something similar and reading this would continue to feel ostracised, and continue to believe nobody has seen what they have seen. This honesty began in those days, where I realised that telling the truth was my only weapon against all the angst and pain I was holding. Although I did hurt people along the way – especially those trying to keep their lies alive (which was their problem not mine). I also gave myself the chance to realise that my job was to speak. That I cannot exist on this earth without it, and in fact I go crazy if I keep my mouth shut. So for better or for worse my job is to find cracks in logic, silences in society, and shed some light. And this may be the job of all poets, to find new ways, powerful points of view and ultimately provide the world with the necessary stories we need to remain awake and aware. Now, I can call poetry home. I can tour throughout the world and teach people how to be strong and proud of the secrets they have to tell, and not to be ashamed of their truths. It has taken me some time but I have recognised that why I loved and still love hip-hop. The dangerous things being said in those albums by Tupac and Biggie were the secrets we were used to… that my friends and I knew intimately and spoke of everyday. Poetry as I was being taught it in those days was culturally specific to Britain, but the poetry of hip-hop was obvious to us. Now, however, I don’t believe hip-hop carries the sincerity and vulnerability that spoken word poetry does. Not that the hip-hop I used to listen to did that very often… but what I love the most about what I do is that the vulnerability this is inherent in so much spoken word poetry is where, I believe, the healing starts. and our secrets yet to be told. P.S. My friend Caleb who had the best house in the neighbourhood for skipping class was from Aotearoa and on my first visit there in 2012 I met with his mother and we visited the place where his ashes are scattered… his father passed away soon after him and his ashes are there also. I wrote this for Deborah Jones, whose loss has made her so wise and deeply compassionate… and a great friend. Reblogged this on A Faatoia Fotography. International poetry, right here at WordPress. Thank you for hosting this wonderful platform and allowing me to live vicariously through it to enjoy poetry from other parts of the world. Thank you for visiting my blog and for also checking out Luka’s story. I appreciate your kind words.